Australia has a unique climate and students of Australian Hydrology need a textbook to match. 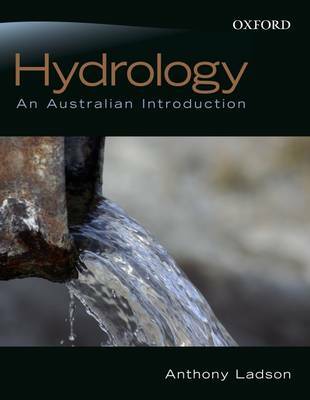 Hydrology: An Australian Introduction is the first hydrology text of its kind, prepared especially for Australian students. It explores and discusses the techniques used for dealing with problems in the Australian context including: Rainfall, including estimation of design rainfall events Evapotranspiration Runoff processes Stream flow measurement and data Flood frequency analysis Rational method of design flood estimation Rainfall runoff models Water storage, diversions and management This text provides comprehensive coverage of the fundamental hydrology principles but the focus, examples and applications relate to the Australian experience. It includes worked examples from the geographically diverse regions of Australia and introduces techniques that can be used to solve practical problems in hydrology.